My first experience with Lachcha Paratha was no doubt pleasant. This crispy-layered version of paratha made me enjoy thick Indian gravies a lot more than I used to. Lachcha Paratha holds much flavor than the regular paratha. 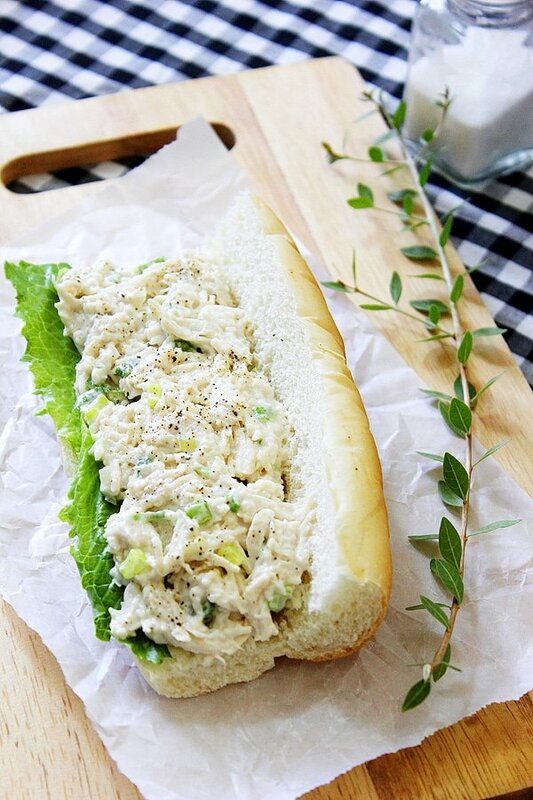 You can have an omelet with this bread and it will taste much better than ever. Lachcha Paratha is tasty on its own and when combined with your main dish, that’s a whole new story. I agree that preparing this bread takes time, but it’s worth it. 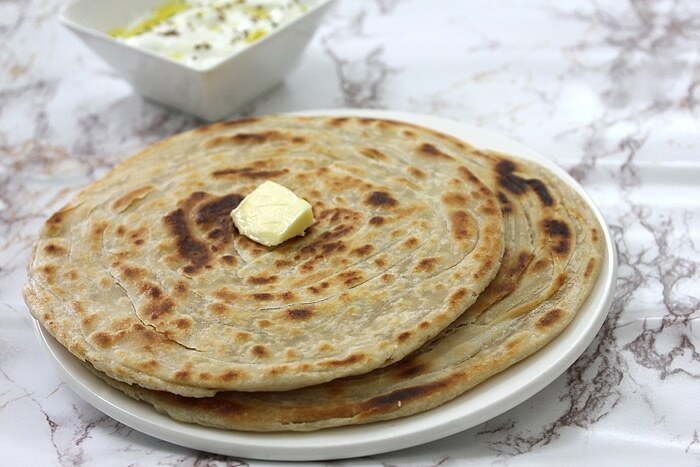 In fact, I believe the time spent preparing Lachcha Paratha contributed in its amazing taste. Having said that let me tell you, making this bread is not difficult at all. 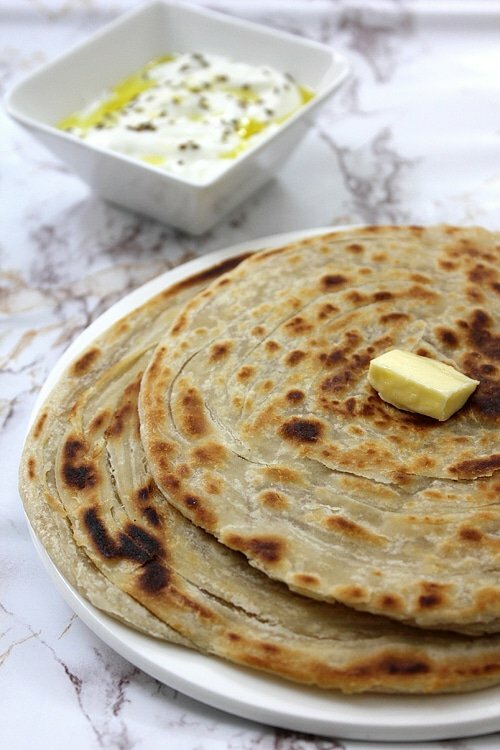 Try Lachcha Paratha with some of my previous recipes like Butter Chicken, Mulbar Beef Curry, and Palak Paneer. Now, just because it’s an Indian bread doesn’t mean you can only have it with Indian food, it goes so well with Cheddar or Blue Cheese too. 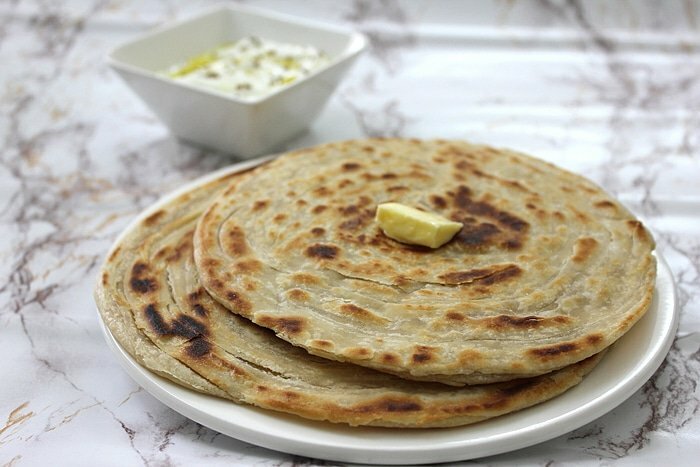 Tip: Using high-quality butter not only enhances the flavor of Lachcha Paratha but enhances its aroma and texture too. If you’re not comfortable using butter in this recipe, you can use oil. In a bowl, mix the flour with melted butter, salt, and water. Knead until you get a smooth dough. The dough shouldn't stick to your hand or the bowl. Cover the dough, and let it rest for at least 20 minutes, or for best result an hour. Divide the dough into 4 equal size balls. Dip the ball in the flour, then roll out the dough into a big circle. The idea here to roll it thin. Spread 1 teaspoon melted butter or oil on top, then sprinkle 3 pinches of flour and spread with your hands or brush. Now start folding the spread dough as if making a paper fan, lift and fold backwards keeping the top edge on top, one layer over the other. When done, hold the ends of the folded dough and slowly tap on your working surface, while pulling it gently from both ends. This will make it longer. Roll it like rolling a swiss roll. Coat it with flour and roll it out gently giving it a round shape. Do not apply too much pressure or you will lose the layers. Heat the griddle over medium heat. Place the lachcha paratha, when you see bubbles on the surface, flip it. Spread 1 teaspoon oil over each side, cook until both sides get golden brown spots. Hmmmm, It’s been a while since I had Paneer Butter Masala. Breads from around the world are facinating to me. Cultures from opposite ends of the planet often have similar breads or methods. Bosnian pita dough is first rolled paper thin, and eventually ends up coiled like this bread.I have never had lachcha paratha but your recipe is easy to follow and your video makes everything clear. I am excited to try this. Thank you! Muna, these paratha look wonderful. I just made some sweet potato soup…shall I bring some over 🙂 ? Thanks Dear, I love Indian bread and planing to have more and different types on my blog soon! My hubby & son love paratha especially with curry. I’m sure they’ll love your recipe. Great hearing from u over at Twitter 🙂 Have a lovely week ahead & do chk out my 1st post on Penang when u’ve time. With God’s blessings I have many friends over the internet and I try my best to touch base with all whenever possible! Looks fabulous and you may it look SO EASY! thanks! Now for the chickpeas. You have to boil them for one hour, drain them, and boil them again until tender, this may take two hours or so, but if you’re using pressure cooker it won’t take long. Hope this helped. Oh! And to make life easy one you, don’t bother removing the skin in the future, you can blend it with the skin on.